It is clear why city leaders are turning their attention to community microgrids. Energy is the lifeblood of any contemporary community, and severe storms in recent years have revealed the vulnerability of the central grid. The American electorate knows this and is concerned. In a March 2015 Gallup poll 88 percent of those surveyed described themselves as worried about energy availability and affordability; 63 percent said that their concern ranges from a fair amount to a great deal. Moreover, microgrids help address three of the major challenges faced by cities that U.S. mayors cited in a separate survey: infrastructure, finance and economic development. A highly functioning electric grid is one of the most crucial forms of infrastructure in any modern town or city, and it is one that can ease the cost of other services and spur economic development. Taking into account the priorities of city leaders, and the concerns of the electorate, here are four good reasons for cities and towns to pursue microgrids. 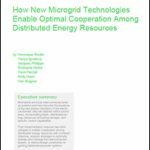 Microgrids are characterized by their ability to separate or island from the central grid. They can halt their flow of power to the grid, or from the grid at any time. This spares the microgrid and its customers from also becoming victim to a power failure moving along the grid. When it islands, the microgrid turns on its on-site generation to send power to its customers. In community microgrids, customers are likely to be critical service facilities; possibly police, fire, hospitals, grocery stores, or gas stations. Community members who have lost power know that they can travel inside the microgrid’s borders for medical care, shelter, food. During a power outage, San Diego Gas & Electric contacted customers who had medical conditions and invited them to go to a cool zone, set up at a resort in Borrego Springs, the site of a microgrid that serves 2,800 customers. Sometimes the microgrid’s services are less tangible, but equally important in a crisis. A Whole Foods in Brooklyn designed a community microgrid as a place of refuge for people to gather, exchange information, charge phones and get in touch with distant family members, who may be worried about their well-being. …a microgrid as a place of refuge for people to gather, exchange information, charge phones and get in touch with distant family members, who may be worried about their well-being. Microgrids offer benefits beyond keeping the lights on during power outages. They can help the central grid function better. For example, during extreme hot and cold weather, the central grid sometimes becomes overtaxed. The microgrid can ‘shed load’ during these periods to ease strain on the central grid. This means that the central grid stops transmitting power to certain facilities and the microgrid takes over. Depending on where in the U.S. it is located, a community microgrid may be allowed to provide other “ancillary” services for the central grid, such as helping to maintain the grid’s ideal frequency. Or a microgrid may participate in a demand response program, where utilities or grid operators call upon the microgrid (and other participating customers) to temporarily reduce their energy consumption. This occurs when short-term power prices spike or a power outage appears imminent. 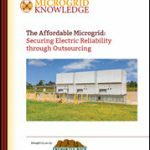 Microgrids receive financial compensation for these grid services. Last, but certainly equally crucial, a microgrid offers grid security in the face of a growing number of cyberattacks. Homeland Security has reported that foreign hackers are targeting the U.S. energy infrastructure. This is one of the reasons the military has been at the forefront of microgrid development. The U.S. grid is particularly vulnerable because much of it is interconnected, like one large machine. Damage can cascade for miles, knocking out power to not just city-after city, but also state-after-state. 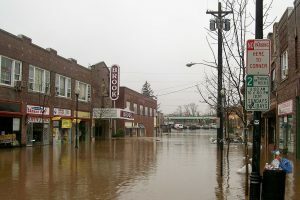 The U.S. experienced such an event in August 2003, when 55 million people in the Northeast, Midwest and Canada lost power. Unfortunately, few microgrids existed then. 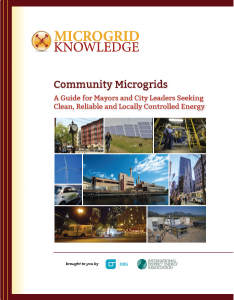 To read the rest of this article now, go to “Community Microgrids: A Guide for Mayors and City Leaders Seeking Clean, Reliable and Locally Controlled Energy,” available as a free download, courtesy of the International District Energy Association (IDEA) and OBG. Or visit MicrogridKnowledge.com for Part 2.